Earlier this year, LG has announced and subsequently released the LG Optimus G Pro – a flagship smartphone worthy of being mentioned in the same breath with the most sought-after devices out there: the HTC One and the Samsung Galaxy S4. Unfortunately, the LG Optimus G Pro didn’t actually compete with those handsets in the true sense of the word. The reason for this is because the device hasn’t been made available globally, with only certain carriers in a handful of regions having the chance to retail it. That said, LG’s presence on the high-end smartphone market hasn’t been that great, but the good news is that the situation may change in the foreseeable future. 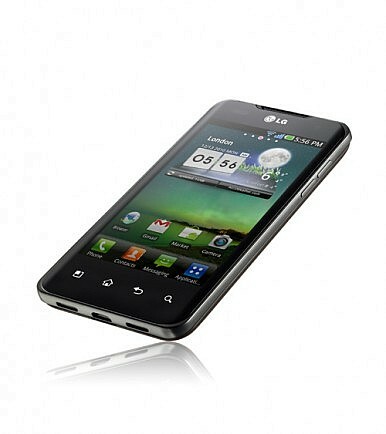 The Korean manufacturer is now getting ready to release the LG G2 (formerly referred to as the Optimus G2), and as with each new imminent release, leaks and rumors regarding this handset continue to surface. Although the naming of the device is an important aspect, I’m confident that the majority of smartphone enthusiasts out there are more intrigued by what makes this gadget tick. The G2 hasn’t been officially unveiled, but plenty of leaks and rumors have emerged lately, enough to give us an overview of the handset, both inside and out. According to these bits of information, the G2 will be powered by a Qualcomm Snapdragon 800 quad-core processor clocked at 2.3 GHz. The device will also feature a 13 Megapixel camera which takes advantage of Optical Image Stabilization and dual speakers. Even better, the handset is said to be compatible with LTE-Advanced networks. Further, the G2 will feature a 5.2 inch display boasting a resolution of 1080 x 1920, and according to reports, the LCD panel might very well be the world’s slimmest full HD screen. Apparently LG is using a new technology of constructing G2′s display, called “Advanced One-Class-Solution”. OGS consists in dual flexible printed circuits that are being inserted in-between the touch film and the panel itself. Using this technology, the number of lines is reduced by 30%. More so, the display will feature 535 nits of brightness. Lastly, there have been rumors that the LG G2 will pack 3 GB of RAM, but these reports have been contradicted by other leaks hinting that the gadget will in fact boast 2 GB of RAM. The situation remains unclear. Once again, we remind you that LG hasn’t made the G2 official. This would normally imply that the design of the handset remains unknown. However, not long ago a very high number of photos and videos depicting the gadget have been leaked online, giving us an opportunity to see the G2 in all its glory. What we have learned from all of these pictures and videos is that LG has opted for a rather unusual design. Overall, the handset doesn’t look too out of the ordinary, and it actually resembles the Nexus 4 if viewed from certain angles. But the innovative part comes from the physical button placement. Apparently, the volume keys as well as the power button reside on the back panel of the handset, just underneath the main camera. From LG’s point of view, this enables the user to conveniently increase / decrease the volume while in a call. More importantly, this decision has allowed the manufacturer to push the limits, and design a smartphone with a very thin screen bezel. Not long ago, LG has started sending out press invites for an event that will be held on August 7. Although the invites haven’t directly mentioned the unveiling of the LG G2, the handset’s debut during the event has definitely been hinted at. As such, we expect the G2 to make an appearance on stage early next month. Nevertheless, an unveiling does not translate into an actual launch. Previous rumors have suggested that the G2 could go on sale in Korea earlier than August 7, but that may not be the case after all. At this point, our best bet is “August 20”, a purported Korean launch date that has been hinted at by sources from LG’s homeland. Hopefully this means that the device would hit the shelves globally sometime by the end of September. Allegedly, LG expects to sell 10 million LG G2 units, and common sense dictates that higher sales figures can’t be achieved with limited availability. This concludes today’s LG G2 leaks and rumors roundup. More information is bound to surface sooner rather than later, but until then, join us in the comment section below. Would you be interested in buying the G2? What do you consider to be the highest selling point of this device?